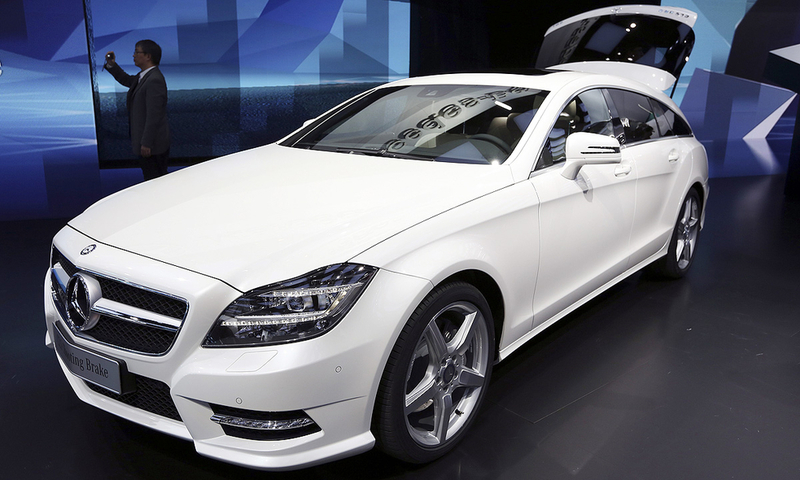 New-vehicle sales may be in a slump across Europe, but product development must roll on. 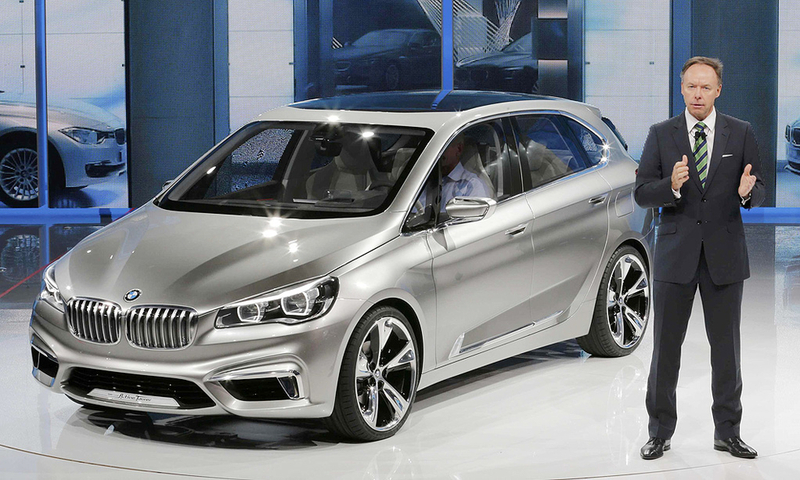 Ian Robertson, head of sales and marketing for BMW Group, introduces the BMW Concept Active Tourer. The plug-in hybrid -- dubbed CAT internally -- is powered by a turbocharged 3-cylinder engine and heralds a new line of front-wheel drive cars coming from BMW. 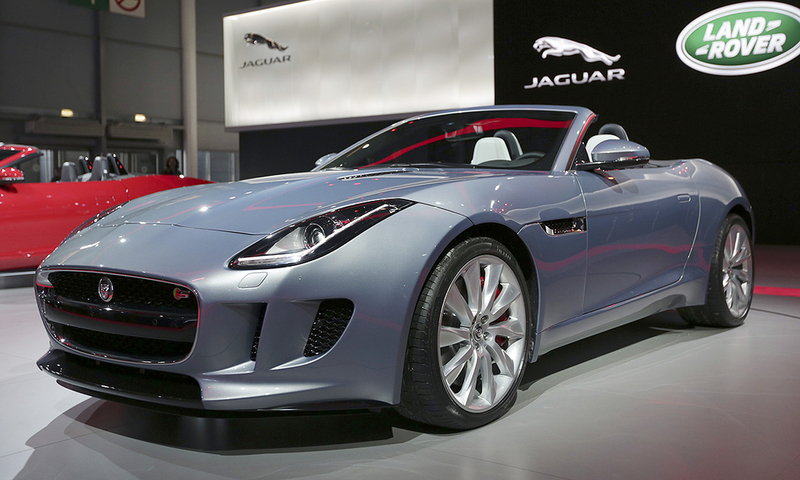 With its sights on Porsche Boxster fans, Jaguar is tapping its sports car roots with the all-new F-Type. Designed to evoke the car's spiritual predecessor -- the eternal E-Type -- Jaguar plans to equip the F-Type with three new supercharged engines. It goes on sale in the United States in the summer of 2013. The Mercedes CLS Shooting Brake, a stretched, wagon-like version of the CLS sedan, with a cherrywood-floored trunk, is intended to evoke vehicles favored by Britain's gentleman hunters in the 1930s. Audi CEO Rupert Stadler poses alongside the new Audi Crosslane Coupe Concept, a model that hints at a smaller crossover in the luxury brand's lineup. Under the hood of the concept is a plug-in hybrid powertrain that combines a turbocharged, three-cylinder 1.5-liter engine with a generator and an electric motor. Audi says the powertrain delivers 214 mpg in the concept, which weighs 3,064 pounds and claims a top speed of 113 mph. 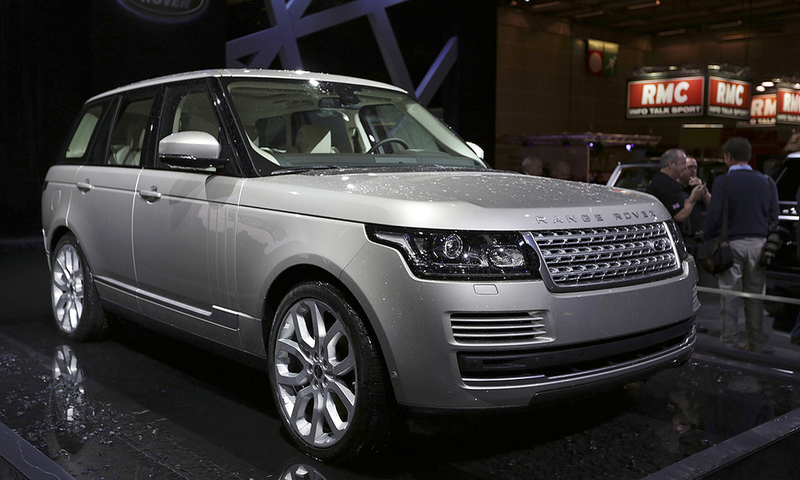 Land Rover has redesigned the flagship Range Rover and embraced more aluminum and other light materials to reduce the large SUV's weight and enhance fuel economy. 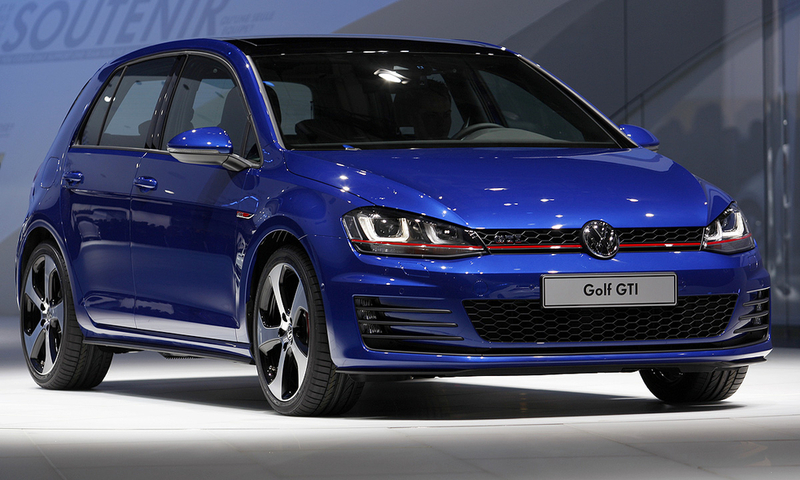 VW's Golf -- a cornerstone of the automaker's global product lineup -- undergoes an extreme makeover for 2013. 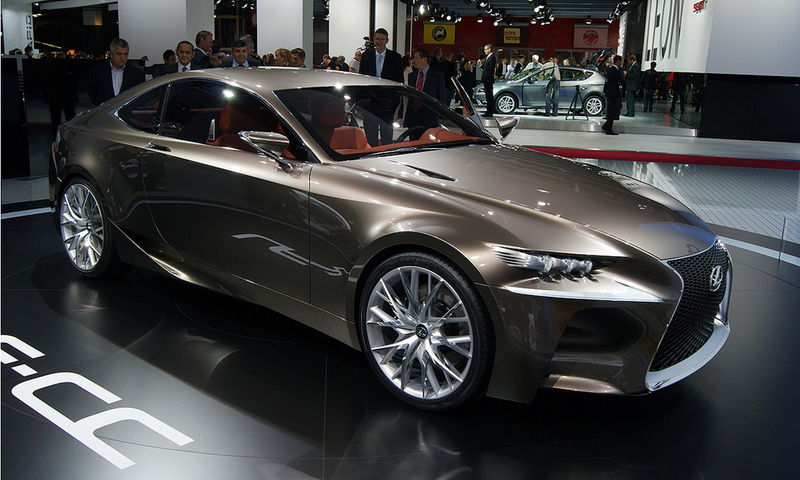 It goes on sale initially in Europe later this year and arrives in the United States in the first half of 2014. VW says key improvements on the latest, seventh generation compact include a larger interior with extra rear legroom and more cargo space; upgraded safety systems, including a feature called multicollision braking; revamped information and entertainment systems; a lower-weight, modular platform; and a family of engines that consume 18 percent less fuel. The Porsche lineup is expected to expand once again with a wagon inspired by the Panamera sedan. 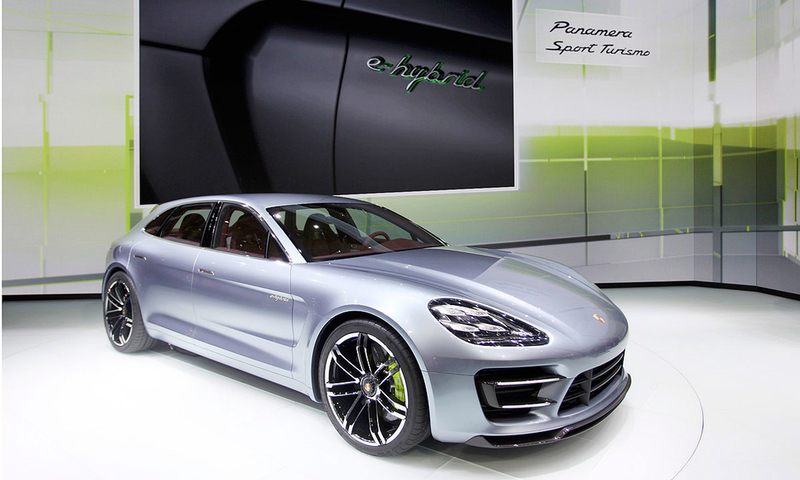 The Panamera Sport Turismo concept is powered by the next generation of the hybrid system found in the Panamera S Hybrid. Armed with a supercharged 3-liter V-6 engine and 95-horsepower electric motor, the Sport Turismo produces 416 hp, good enough to produce sub-6-second runs from zero to 60 mph, Porsche says. It will debut when the next-generation Panamera goes on sale. The concepts keep coming from Lexus and the latest -- the LF-CC -- may offer a sneak preview of the next-generation IS sedan, depending on which Lexus official or analyst you poll. It may also signal a coupe version of the new GS sedan -- a model that has been sought by some Lexus executives to pump more mojo into the luxury brand. Automakers used the Paris auto show this week to showcase upcoming models and new design themes, from the all-new VW Golf to a Porsche wagon.